Work for Everbridge Mass Notification? Learning about Everbridge Mass Notification? I receive Everbridge alerts everyday. I like how it can be used as "intelligent" alerting, where depending on someone's geographic location (if their phone provides access), that the alerts can specifically target them. The UI to send alerts is also easy to navigate. Besides receiving seemingly non-stop low staffing alert messages, I wish Everbridge placed more emphasis on their app based services. To me, app based messaging is more functional and customizable. Their app could be better. Make sure you look at the other available products out there. Everbridge is changing their game, but there are plenty of start ups offering better services. We primarily use Everbridge for staffing notifications. We are in the business of public safety, so when the county manager is constantly receiving these alerts, it makes the argument for larger budgets a bit easier. Everbridge offers so much in terms of mass communication. It's a very comprehensive system that you would think is complex, but is actually very simple when receiving the proper training. I'll admit when you first get in to the system it's overwhelming but once you get going it's very simple to follow. I don't really care for the everbridge univeristy, which is the online database where they show you tutorials of how to use the software. I think it's only worth it if you can get the database to sync with a pre-existing system that stores contact information. Definitely consider receiving a tutorial in person from an Everbridge consultant. They might try to have you take trainings online but it is really worth while to plan a class or training with your colleages with an Everbridge representative. Mass communication is very important for large companies.. Everbridge can help account for missing employees during natural disasters, as well as alert them regarding ongoing incidents. "Everbridge - Best Emergency Management Solution"
Everbridge has the best solutions to emergency management. While employed through the state, this is the program we use to effectively send out emergency notices to our area! We currently have approximately 27,000 and growing registered users receiving our alerts. There is no better way to have an emergency broadcast system in place, trust Everbridge. It'll get the job done. What I dislike very much is how complicated it can be. Before understanding and running a few test alerts, it'll take the newcomer a few times to get the hang of how and what to process. During my initial training it was definitely complicated but after familiarizing myself with Everbridge, I was able to master it. I can now easily send notifications without issue. Recommendations to others? If you are currently in a public safety capacity and looking to have a community notification system, Everbridge is the way to go. 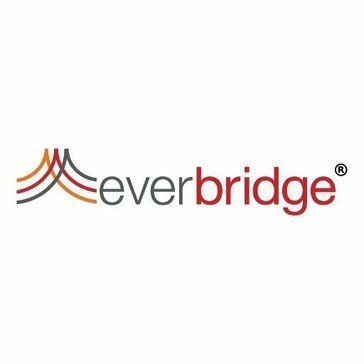 There is no better system out there that will provide the quality and effectiveness that Everbridge will. I wish I could post a photo of our Everbridge notification panel however due to the sensitivity and confidentiality (which I assume you all understand) I can't. However I ask that you reason with me and give them a trial run! The business problems I am solving with Everbridge is the fact we can send a mass notification to our community without having to go to the media/news crews, waste time and man hours. We can simply get on a computer and send the notice within seconds/minutes. "A great system to use on the go. " I like that the system can be used anywhere. Our previous notification system had to be used on the intranet. I enjoy being able to create multiple types of accounts based on need. It has been amazing to use this system for mass alerts for our company. This allows us to contact each employee via the information they provided. When we run test alerts for the emergency shelters we are able to see who responded as well. I do not have any complaints about this product. It is definitely one to keep an eye on. We have been able to contact each and every employee so that they are aware of duties for emergency shelter duties. Employees are able to reply letting us know that they are safe and can be there to offer their services. "Perhaps it is a Lack of Training from my System"
The platform itself seems very simple to use. I honestly do not understand the point - I believe it is simply to subscribe to campus-wide alerts. Like I said in my title, I was not oriented to everbridge except to have updates for the weather situations around the campus. I like the ability to notify residents within a drawn geographical region. The one thing I least like is that in order for persons to receive notifications they would need to subscribe prior. We overcame this by promoting the service. "Great way to stay informed up to the minute"
I like how I get text messages immediately. I wish the information could be a bit more specific - especially about severe weather in our area. It's a great way to notify employees quickly about severe weather warnings. I cannot think of anything I dislike about it so far. Emergency Notifications to all employees. Everbridge is very simple to use once you get the hang of it and is very useful within the emergency management field! The platform looks difficult and may deter people from using it because of the complexity of the app. Allows for communication during emergencies. The ability to plan holistically in the case of an emergency. The communication that it provides. Because it’s so comprehensive, it can require multiple admin users. Easy to send out mass notifications to all groups. Sometimes it freezes without any warning . Alerting of either real or drill type situations. Sending notifications is quick and efficient. System could be a little more user friendly. We are capable of notifying everyone at the same time. * We monitor all Everbridge Mass Notification reviews to prevent fraudulent reviews and keep review quality high. We do not post reviews by company employees or direct competitors. Validated reviews require the user to submit a screenshot of the product containing their user ID, in order to verify a user is an actual user of the product. Hi there! Are you looking to implement a solution like Everbridge Mass Notification?